We looked at the top 10 Knife Sets and dug through the reviews from 54 of the most popular review sites including BestReviews, Best Reviews Guide, Dotbeasts, New York Times Wirecutter, The Kitchen Guy, Reliable Knife and more. The result is a ranking of the best Knife Sets. Our experts reviewed the top 10 Knife Sets and also dug through the reviews from 54 of the most popular review sites including BestReviews, Best Reviews Guide, Dotbeasts, New York Times Wirecutter, The Kitchen Guy, Reliable Knife and more. The result is a ranking of the best of the best Knife Sets. This sophisticated and useful knife set is the best overall because of its sharpness and diversity of knives included. With an appealing walnut-colored block, this seven-piece knife set includes all the basics necessary for a typical kitchen. Westhuf is a well-respected name in cutlery, but the high price point may make it off limits for budget-conscious shoppers. DWYM Kitchen Experts plus New York Times Wirecutter, Influenster, Best Fillet Knife Reviews, The Good Stuff Reviews. Along with user reviews from Amazon.
" This classic-looking set includes the most useful knives for home-kitchen use, plus pull-apart kitchen shears, a honing steel, and a storage block. We’re confident that these durable, sharp knives will provide years of use." "Because the shears are designed to be taken apart, they can be a bit wobbly when you use them. It’s a necessary trade-off that doesn’t affect their effectiveness, so if you can look past it you won’t have any problems." The J.A. Henckels knife set has everything a chef could possibly need, including kitchen shears and a honing steel. Superb quality at an affordable price makes this set a true standout. DWYM Kitchen Experts plus BestReviews, Kitchen Gadget Reviews. Along with user reviews from Amazon and Walmart.
" Superb quality – nearly professional-grade, well-rounded set of knives." "Too sharp that can possibly cause cuts and wound"
For beginner cooks interested in starting a collection, this four-piece set from Victorinox will suffice. Although it doesn't come with a block or honing steel, you can buy additional matching knives to add to the collection later. DWYM Kitchen Experts plus New York Times Wirecutter, The Kitchen Guy, Reliable Knife and 1 more. Along with user reviews from Amazon and Bed Bath & Beyond.
" This cheap but sharp knife set is a nice option if you’re a beginning cook and don’t want to spend a lot of money. This set is also great for pros who need knives that can stand up to the..."
"Whilst these blades are classed as dishwasher safe, I highly recommend to hand wash them for various reasons." If you want the very best value when purchasing your new knife set, look no further than the Chicago Cutlery 18-piece knife set. Chicago Cutlery's knife sets are popular for a reason. This set includes all the basics at a very affordable price and includes a block that will match many home decors. DWYM Kitchen Experts plus BestReviews, The Kitchen Guy, Best Fillet Knife Reviews, Knife Planet. Along with user reviews from Amazon, Target and Walmart.
" A low-priced set of unbeatable value that is very popular." "Uneven appearance when placed on the block"
We identified the majority of the knife sets available to purchase. 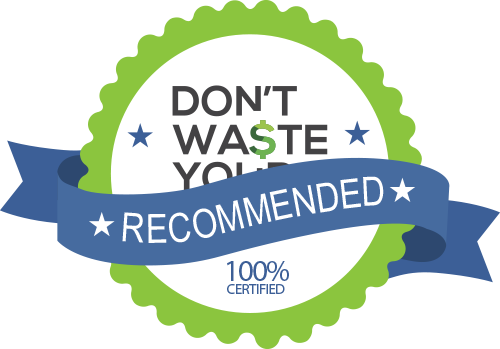 Reviews from our DWYM category experts and analysis of some of the most respected sources including: BestReviews, Best Reviews Guide, Dotbeasts, New York Times Wirecutter, The Kitchen Guy. We also incorporate user reviews from the leading retailers including Amazon, Bed Bath & Beyond, Best Buy, Walmart, Target and 3 others. This classic-looking set includes the most useful knives for home-kitchen use, plus pull-apart kitchen shears, a honing steel, and a storage block. We’re confident that these durable, sharp knives will provide years of use. Each blade and handle is finished to a high standard, by HAND. Because the shears are designed to be taken apart, they can be a bit wobbly when you use them. It’s a necessary trade-off that doesn’t affect their effectiveness, so if you can look past it you won’t have any problems. Cost is higher than average, but the quality is mich higher than average. A low-priced set of unbeatable value that is very popular. These are two nice bonuses that came with the package. The sharpening steel works very well for keeping the knives sharp, and the wooden block looks very nice on my counter. They’re comfortable and fit in your hand well. All of the knives are full tang as well, so they’re highly durable. We were a little disappointed that this set did not include a boning knife. A good set of knives can last a while. 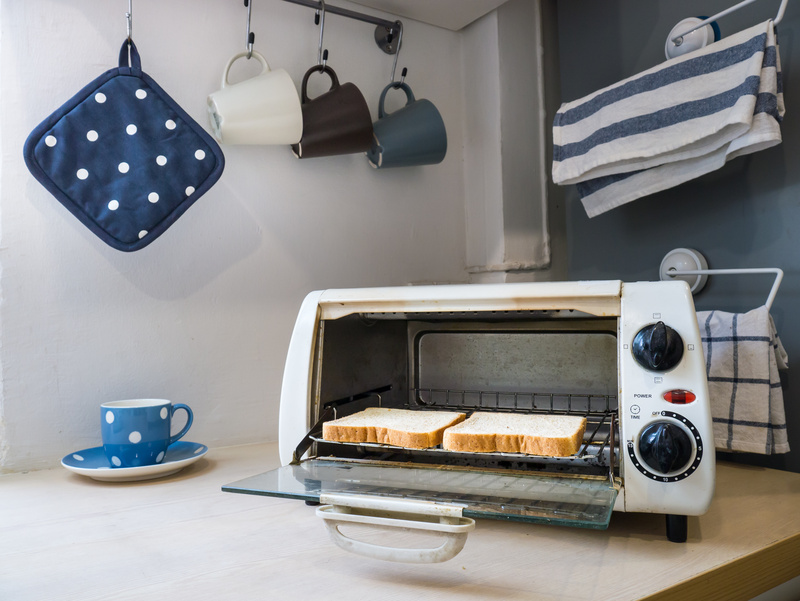 In fact, you may buy a set when you move into your first apartment and find that you still have it when you’re ready to upgrade to your first home. But every knife has a shelf life, which means you’ll eventually have to trade that old set in for a new one. There are many factors to consider when you’re shopping for knives. Many knife sets come in wood blocks fitted with slots perfectly shaped to fit each knife. Do you need a block? That depends. Some homeowners prefer to have their knives neatly tucked away in a drawer when not in use. Others prefer those magnetic strips that hang on a wall to hold the knives in place. The benefit of a knife block is it turns your cutlery into an attractive part of your kitchen décor. You can find a wood type and color that perfectly matches your own kitchen, making it an enhancement. But beyond storing your knives, you’ll also need to consider the type and quality of the set you’re buying. At the very least, you’ll likely need steak knives and perhaps a utility knife for your kitchen. But if you’re a true chef, there’s a wide range of knives you’ll need, including those that can help with peeling fruits and vegetables or cutting bread without tearing it. One nice upgrade is sharpening steel to keep your knives in peak condition for many years. Many knife sets also come with kitchen shears for the many times you’ll need them. Of course, the quality of knives is also important. Look for well-known brands like J.A. Henckels and Wusthof, which have established themselves as leaders in their industry. When a manufacturer develops a reputation as having a commitment to excellence, you’ll know you’re getting a product that’s built to last. If you’re planning to give a knife set as a gift, you may want to attach a penny to it. An old superstition says that knives as gifts are bad luck, as they sever the bonds of friendship. A common workaround is to attach a penny, which the recipient then gives back as payment, in essence saying that it was a purchase, not a gift. Whether you believe this superstition or not, your recipient may, so it’s likely best to attach a penny just in case. At the very least, you’ll be able to share the superstition and have a laugh about it. Chances are one of the top factors in choosing a knife set for your kitchen is appearance. If you’re looking for a light-colored wood block, the J.A. Henckels Premio 18-piece block set and the Chicago Cutlery 18-piece Insignia steel knife set are both worth considering. If a walnut-colored storage block is better suited to your décor, take a look at the Wusthof Classic Ikon 7-piece knife set. The Victorinox 4-piece knife set doesn’t come with a knife block, making it a better pick for families that prefer to keep their knives in drawers. You can’t go wrong with a classic, and the Wusthof has a look that blends with every type of décor. But the Chicago Cutlery set is popular as well, perhaps in part due to its versatility. Once you’ve gotten past the aesthetics, it’s time to look at the actual cutlery each set offers. The fullest range of knives comes with the J.A. Heckels and Chicago Cutlery sets. In each set, you’ll get a parer, utility knife, serrated bread knife, Santoku, chef’s knife, steak knives, shears and a sharpener. But if you only need the basics, the Wusthof Classic set includes a parer, utility knife, bread knife, shears and honing steel. However, you can buy additional items, like steak knives, to slide into the empty slots in the block. The Victorinox set is fairly basic, with no shears, honing steel or storage block. But you can buy plenty of other items to go with the set, so this may be just the start of your collection. Before you invest in a knife set, you likely want to make sure it will last. The J.A. Henckels set offers superb quality, but the Wusthof set is also durable, thanks to its tough handle and laser-tested edge. The lowest-priced set in the bunch is the Chicago Cutlery set, which is a great deal with 18 knives and a block included for just over $100. The Victorinox four-piece set is slightly more expensive than that, with the J.A. Henckels 18-piece set retailing for more than $200. The Wusthof set is the most expensive, in the $300-$400 range and only includes seven knives. For the Knife Set category, we analyzed 54 of the most popular reviews including reviews from BestReviews, Best Reviews Guide, Dotbeasts, New York Times Wirecutter, The Kitchen Guy, Reliable Knife and more. The result is a ranking of the best Knife Sets.